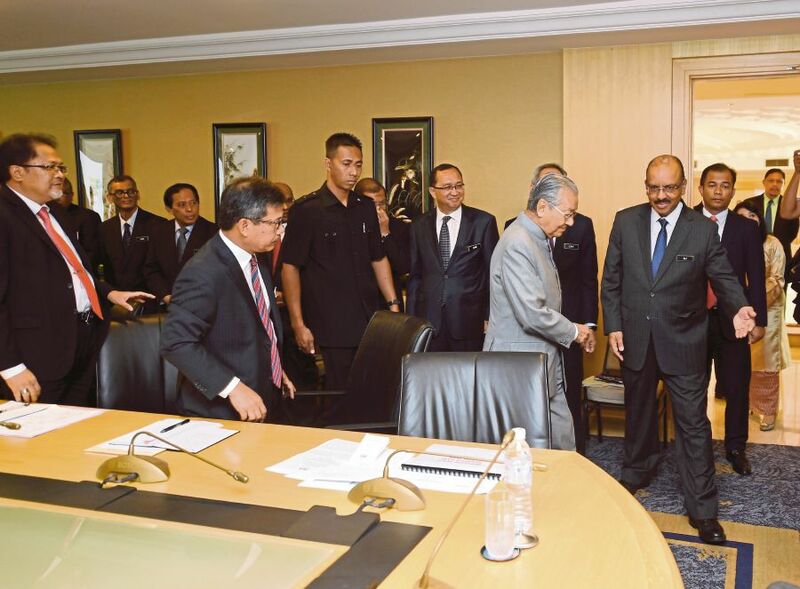 CONCERNED that he may not have the full backing of all in the public service, Prime Minister Tun Dr Mahathir Mohamad recently questioned the loyalty to the newly elected government of public servants who had openly displayed partisanship during the recent election. The chief secretary to the government has also weighed in on the matter, reminding public servants of their bounden duty to serve the government to the best of their ability. Political neutrality is one of the fundamental virtues of the public service. A Westminster tradition, the allegiance to an elected government offers enduring strength and stability to a democracy that envisages a new political party coming into power upon an election. In such circumstances, a politically neutral public service ensures that there is orderly and peaceful political succession while guaranteeing uninterrupted delivery of service. Public service impartiality enables public servants to discharge the trust that ministers, as representatives of the people, repose in them. That trust is that the public service will proffer no-holds-barred advice and administer public policies fully regardless of its members’ own political leaning. Citizens, too, expect fair and objective treatment from the public service. They would be better minded to perceive good governance where the public service is impartial. As such, a public servant has not only an obligation to practise impartiality but also the sacred duty to selflessly guard it. Impartiality of the public service rests on a social contract. For security of tenure, public servants will remain anonymous. They will act professionally and competently in helping ministers formulate and execute policies. In exchange, their political masters will be the policy-makers. As spokesmen for their ministries, ministers will aggressively promote and defend public policies. The six-decade long rule of the previous government has blurred the division of duties between the public service and ministers. This blurring is not an exception to our public service. Across the Westminster-oriented public administrations, the public governance environment has frustrated public servants in getting a handle on what it truly means to be impartial. Public governance today has thrust the once faceless mandarins into the limelight. Politicians improperly compel public servants to openly defend policies. Given the hierarchical nature of government and the deferential attitude of the public service to those in authority, the sheer force of political authority cows the public service to openly root, and even campaign, for the government. Otherwise, their loyalty to the government will be called into question and their career advancement put in jeopardy. Emboldened by the apparent invincibility of the then incumbent, some public servants had thrown in their lot with the government. Political appointees had further stirred the tranquil pond of public service impartiality. Their jobs warranted an overt promotion of the government agenda. In the process, they sullied the reputation of the larger public service. The incessant clamour for transparency and accountability has seen senior public servants face intense media and parliamentary scrutiny. The media hounds them at every wisp of a scandal. So much so, it is difficult for public servants to disengage from the public eye, more so as government pressure mounts on them to defend its agenda. In 1889, Woodrow Wilson, an academic before becoming the 28th president of the United States, enunciated the politics-administration dichotomy. Ministers make policies while public servants execute them. However, even this dichotomy that ejects politics from administration is now blurred. Political intervention has made public servants play second fiddle in a jurisdiction that was previously exclusively theirs. Against this governance backdrop, it is not difficult to understand why some public servants had been enticed from the traditional notions of political neutrality and loyalty to the government to canvass for, or be politically associated intimately with, the previous government. As a Malay proverb advocates, “Jika sesat di tengah jalan, lebih baik kita pulang ke pangkal jalan”. (When one is lost midway, it is better to return to the starting point.) That is apt advice for public service neutrality. Both ministers and public servants have a role to play in upholding the non-partisanship of the public service. Here are four suggestions to strengthen public service impartiality. GOVERNMENTshould avoid the politicisation of senior appointments in the public service. Senior appointments should be made on merit, a virtue that buttresses the public service. They should not be made for political expediency. MINISTERS should respect the legitimate turf of the public service, that is, the administration of public policy. There should be no political interference in the way policies are administered. While it is the bounden duty of the public service to advise ministers uninhibitedly, it should not be dragged into overtly defending public policies. That is the legitimate preserve of ministers. THEY should develop greater political acumen in managing their political masters so as to stay politically neutral. And, always be mindful that obsequiousness should not be part of their attitude or behaviour.